Award season has started big time. In the last couple of days, all the media screamed and shouted because of the things we had acknowledged. Yes, I am including Kevin Hart as Oscar host drama. 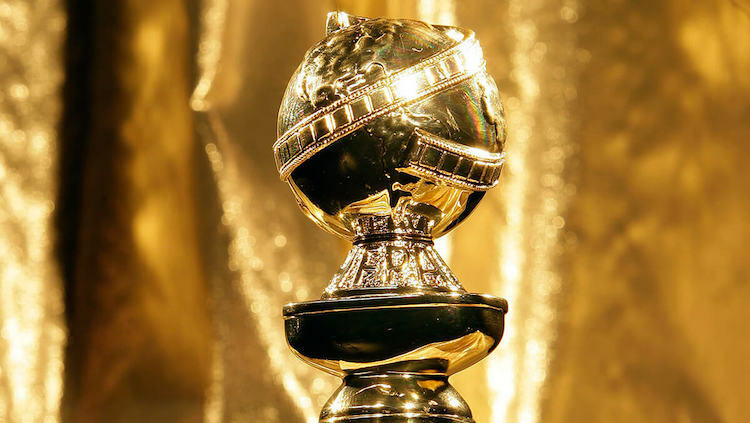 But most importantly, the nominations for 2019 Golden Globes were announced. And it was more surprising than last year’s Oscar best picture, no doubt. Globes gave a very cold shoulder to most of the films that deserved one and surprised with welcome where it wasn’t expected. Here are 10 mistakes I believe this year’s nomination happened to make. I’ve said this countless times – this film is a statement and not much else. The sole picture was boring and completely predictable. The characters were well drawn but had a single purpose. There was nothing special in the film except some heavy visuals. What made people love it so much was the anti-racism damn statement. And I do not believe we ended up in the world this is the only requirement to give the film a nomination. This film was one of the highlights at the American Film Festival and one of the best things I’ve seen. If we’re talking statements, it has a damn important one. Without knowing a thing what was the film about, I greatly appreciate the idea. Ethan Hawke smashed the role of a minister who… does something completely else. First Reformed was a dialogue between two completely uncorrelated matters and then creating a connection between them. I can’t believe it went so unappreciated here. For me he was the best piece of A Star Is Born and I can’t believe his skills were overlooked. A Star Is Born is expected to cash in in most of the categories. Frankly, I stopped caring a while back. Nothing can be done when people feel more than think. Now I’m just sad it won’t win in the category I actually wanted it to. Sam did an extremely fine job as a manager and brother of a problematic rockstar. But then… A Supporting Actor category is really strong this year. Mahershala Ali, Timothee Chalamet, Adam Driver and Sam Rockwell are basically killing it. This loud Polish drama is slowly flopping. The romance/musical by the Oscar winner Pawel Pawlikowski was speculated to be the best international at Oscars, but recently it seems the guilds don’t agree. A few days ago Cold War lost to Roma at BIFA and now it wasn’t nominated to the Globes. What went wrong? No idea. I wasn’t a big fan of the film myself. I rather think of it as Polish La La Land. Obviously, it is an exaggeration but has a point. Roma is waiting for me in the cinema. I wonder what Mexican director Alfonso Cuaron created. Except for well-deserved nomination for Claire Foy (supporting actress) and Justin Hurwitz (score), new picture by Damien Chazelle got completely unnoticed. After La La Land, everyone expected at least similar count of awards for incredibly technical First Man. It had an extreme focus on details, the more science the better. I loved its small touches such as sounds in the ship as much as the multithreading plot which touched not just THE issue but also family and loss. It made me feel like I was with Armstrong on his entire journey. Apparently, not many felt the same way. Freddie Mercury’s biopic had a great deal of drama before it started production. The problem was extremely big with Sasha Bohan Cohen resigning the role because studio disagreed to show the real Freddy. Instead, we received the PG-13 version of quite excessive life. Was it a hit at the box office? No other way. But both audience and critics even though determining the film as enjoyable, also admitted that there was something missing. Rami Malek shines bright but the rest is not as fair as it should. Animations seem to be completely mixed up this year. If I am to believe my guts, I am damn sure Incredibles will get the award and I won’t be happy about it at all. The only deserving party to me is Isle of Dogs which delights in all the categories: music, animations and plot. What is worse – the sequel to the most popular British bear got completely ignored. This was said to be the best sequel of them all and it seems Disney saved this spot instead. I’m glad Spider-verse got a chance. I’m yet to see it but it’s already amazing according to sources. A Quiet Place, Mary Queen of Scots, A Beautiful Boy, At Eternity’s Gate… These are only a few titles that had a big chance of being in the race but they happened to be missing. I’m not even familiar in most of them since there was no opportunity to watch them, so I won’t judge if they actually deserve a nomination but I definitely would put any of them instead of Black Panther blindfolded.